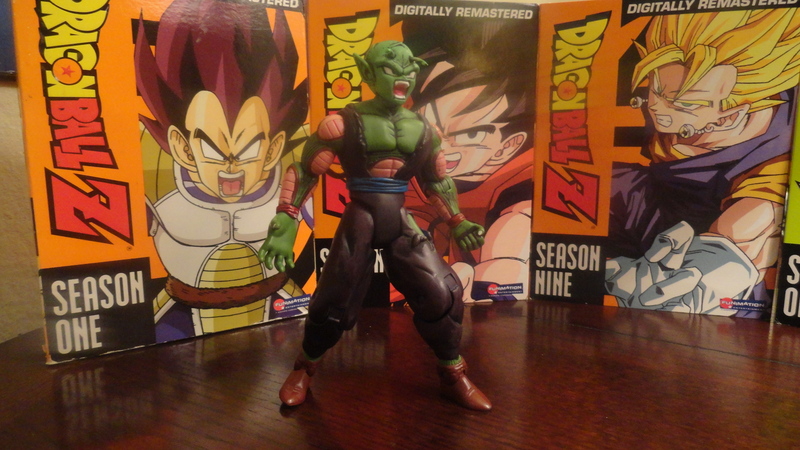 All of my Piccolo figures but 1 had the antenna broken off so I went ahead and did this custom just to make use of the parts that I had and to replace a broken figure with a custom figure. 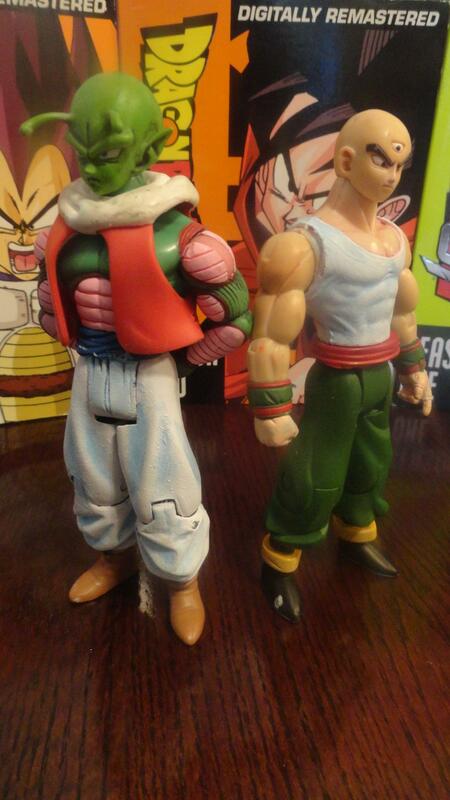 A few months ago my sister bought a few of my DBZ figures as well as a custom Tien. At the time I didn't want to part with but had she not convinced me that she liked it so much I may never have made this one, which I really like his height and build more than my previous which just used Goku parts with a Tien head. 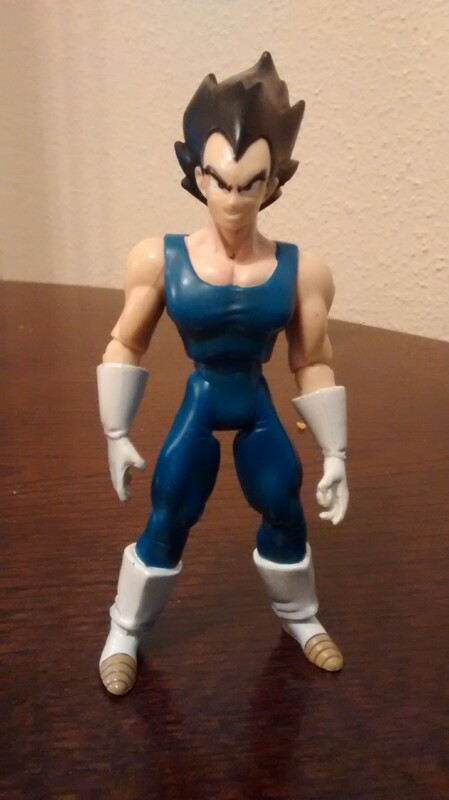 This has been done before with the Vegeta torso but I've never seen one with Tien legs. This is a w.i.p. 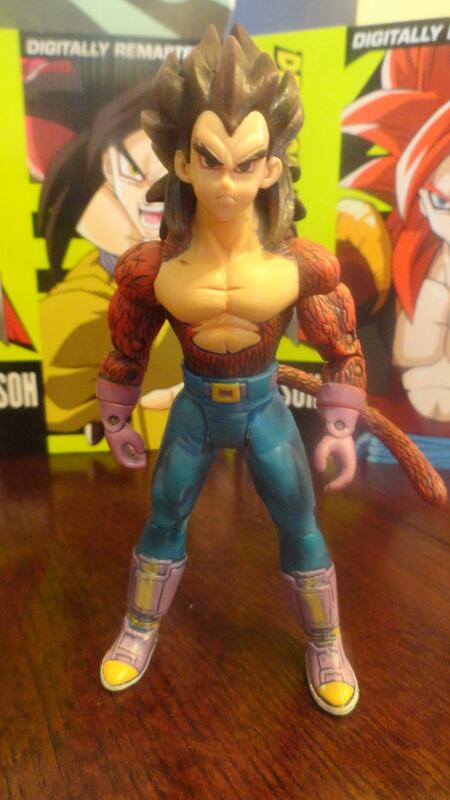 you may remember me posting a few years ago on the old site which uses the jakks torso and Irwin legs from 2 different Raditz figures. 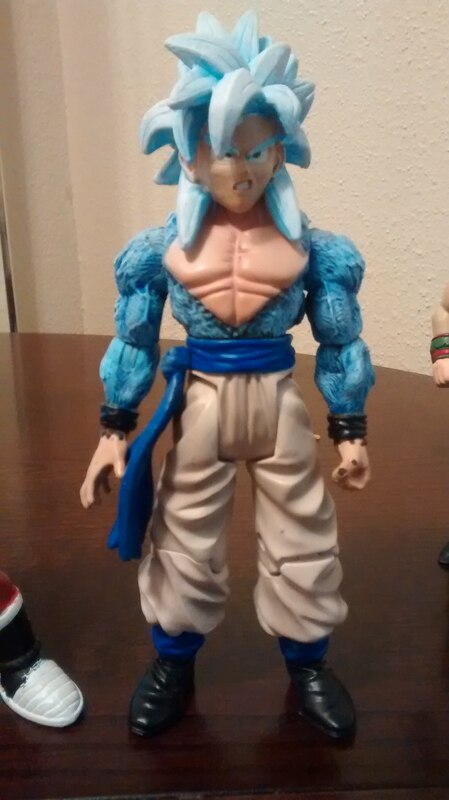 Using this combination saves you the trouble of shortening the Jakks Raditz legs and makes Turles the exact height as Goku. 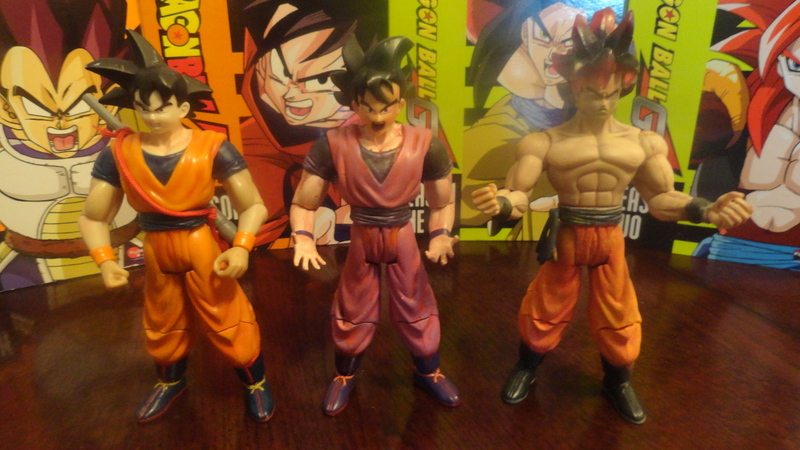 I've seen the black haired Goku done before and I think on this site but it's a great combination and I wanted it for my collection. FYI my personal preferance when I can have it is for my Super Saiyans to have yellow hair and anything above that like Super Saiyan 2, SS3, or Ascended Saiyan to have gold hair. So though Goku and Vegeta clash in this pick it makes sense it my head for my own collection. This picture is also a decent example of the 2 types of custom figures I try to create either a simple repaint that the figure can blend right into the rest of the official figures or the type of custom figure repaints with bold shadows and highlights. is a combination of an Irwin head and forearms on a Jakks metallic body. 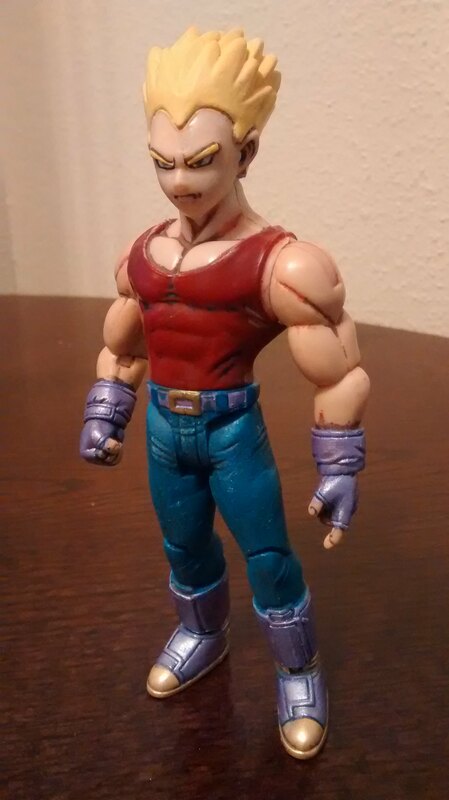 This is just a simple custom because I had the parts for the body siting in a bin and I got a very scuffed up Irwin Vegito in a lot with a nearly perfect head. I shortened this figures thigh by 1/4 of an inch then reattached with AVES by maing criss crossing cuts into the thigh with a dremel then packing the channel with Aves and sanding it smooth. This made for a super durable bond without adding any bulk to the legs and will be my method for these kinds of alterations from now on. I don't see this method ever breaking even if you give it to a kid to play with, especially since I did this to both the inside and outside of the thigh. I also did several layers of paint on the jeans to try and achieve a denim look. During this process I also learned a new painting technique for blending colors with super smooth transitions but that will require a lengthy thought out how to instructions to properly describe, it's like a dry brush and a wash at the same time.... very cool stuff!!! This guy was posted years ago on the older site and I never got around to finishing him. 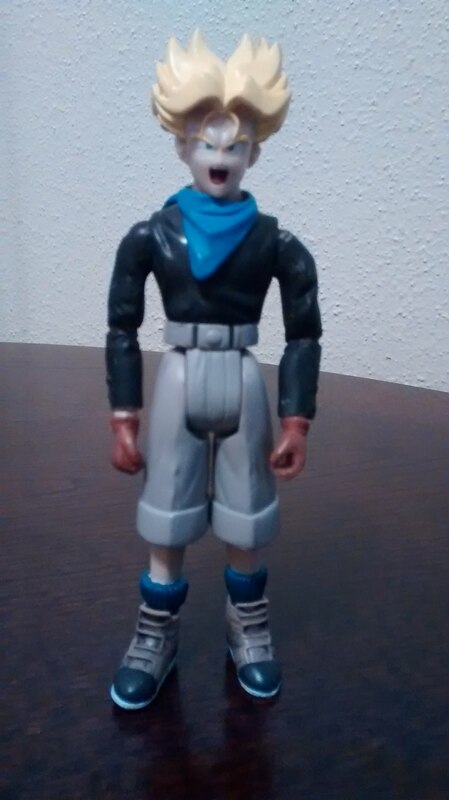 This guy is a serious Frankenstein of parts and since it was so long ago I can't remember every figure that got chopped to make Tapion. 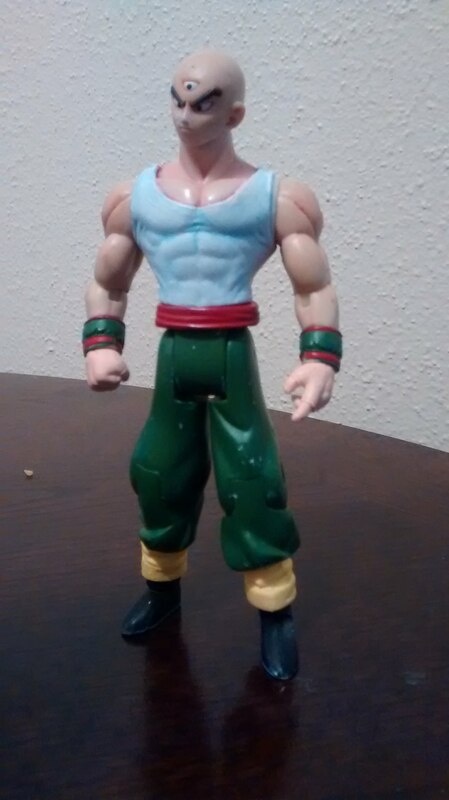 His chest is end of Z Goku torso , Saiyaman Legs, Ultimate Gohan in the Kai outfit for the hands "I think"...... lots of stuff years ago. This is still a w.i.p. since I need to shorten his forearms and add detail to his boots but this is the basic idea. He has almost as much articulation you could expect from a Jakks/Irwin custom though his feet don't move and his neck only spins instead of being on a ball joint. Great job on those! The Tapion is super cool and im very jealous of the non ss Goku! Thanks for the feedback. Tapion didn't take as much hard work as he did patience and lots of parts from 3 or 4 figures as well as a Tapion figurine by Bandai. You could make this figure with fewer parts but he would either be too muscular or not able to hold his sword and ocarina. 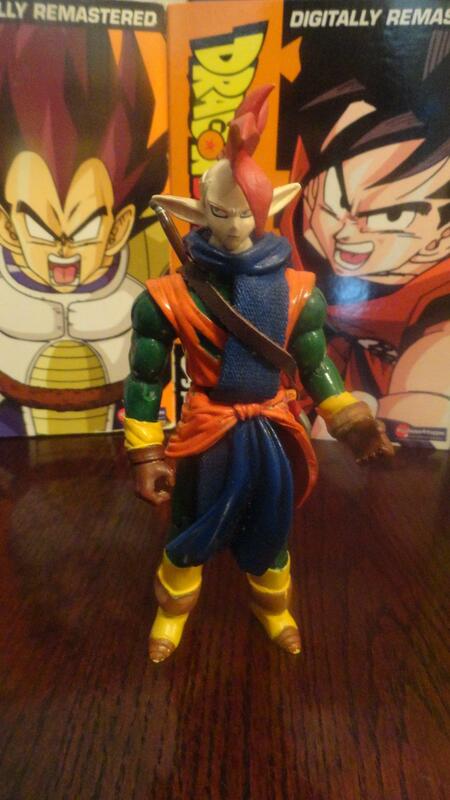 I put a lot of thought into how I was going to make Tapion then got on ebay to get the parts I needed. It was an expensive custom to attempt but I managed to get some use out of all the left over parts so it all worked out in the end. 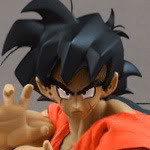 The non SS Goku in armor is pretty easy and would be a good beginner level custom for anyone looking to get started. I was going to describe the process here but it got long winded and confusing lol. Maybe I will write a tutorial one day on how to do this since it is pretty easy and is a pretty rewarding custom since it looks great and doesn't need any paint. I have this bad habit of getting a custom 90% of the way done then not finishing it for some reason. It's like I already see the finished product before I'm really done. I'm trying to finish all the customs that are nearly complete to add some numbers to my custom figure collection as well as some DBZ love among all the TMNT and Batman movie custom stuff I'd been focusing on. They look pretty good!! Nice job! I like the Turles the best, followed by Tapion! Make sure to host the pictures on your own IMGUR or Photobucket account and then post the IMG links here though. I have to delete DBF's attachments every few months, and even though I try to keep the custom figure pictures unaffected by my deletions, it just means DBF as a whole has less and less attachment space, the more custom figure pics DBF hosts. Someday I'll have to delete all of them and start all over. I think the customs took up 70% of DBF's space last time I deleted everything BUT customs, so when that hits 90% after I delete non-customs, I'll probably just wipe everything out the next time. Ok I will make sure to do this for posting photos in the future and will replace the current attachments soon. Thanks for the feedback Branjita and I'm glad you like Turles since some of the sculpting on his forearms looks shaky or uneven. I used to try and work on too large of an area back then as apposed to doing sculpting in stages and layers like I prefer to sculpt now. Nice. Very nice. I'm going to have to go with that Tien custom. I like the idea and the fusion of parts to complete him. Well done. Thank you very much, I appreciate you taking the time to give me your feedback. Nail and Tien = I started the dry brushing process to the white areas of these two, it seems I will have to sand off the thick areas and try again. Goku, Kaioken, False Super Saiyan = Just starting these guys but the ideas are there. Turles = I decided to go with a metallic purple color scheme since I also had a pearl purple that I thought would look interesting over the black areas but it doesn't really show up very well. 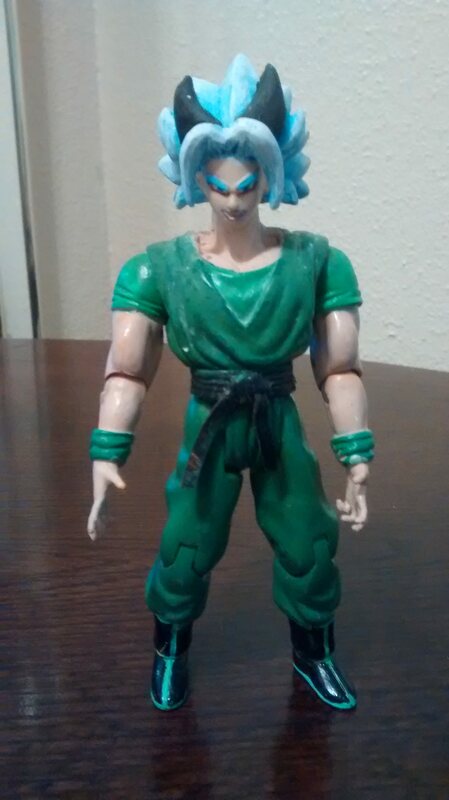 Broly = Got a bunch of rare figures in a lot that were very beat up. This Broly had a bunch of damage to his hair that I still need to repair since the paint won't fill the imperfections like I thought might work. 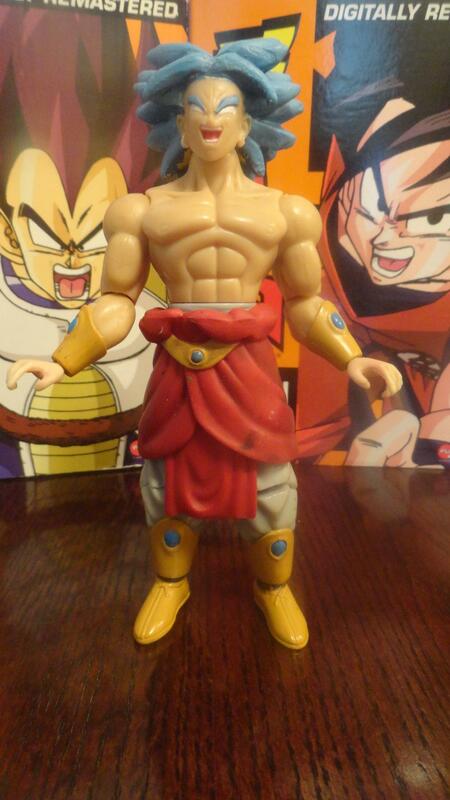 Tapion = Tapion now has a ball jointed neck at the cost of needing to sculpt some more on the neck area. I also got the forearms a much better fit into the upper arms. 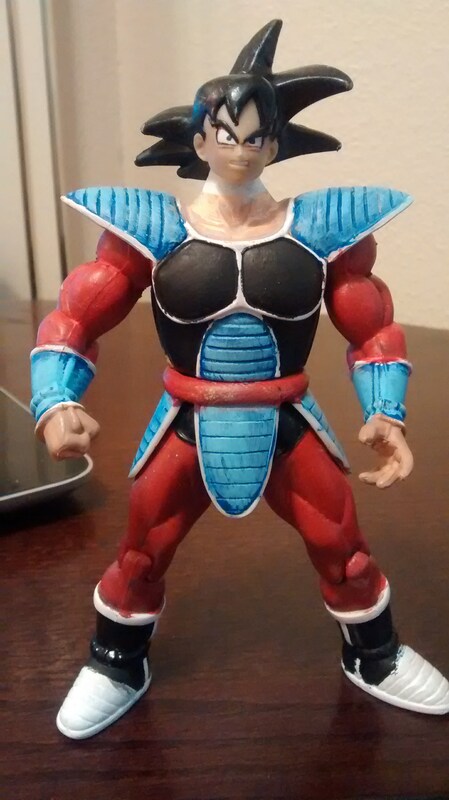 SS4 Vegeta = Years ago I attempted to make this into a SS5 custom but the blue paint wasn't taking very well. So I decided to try and restore it back to a SS4. 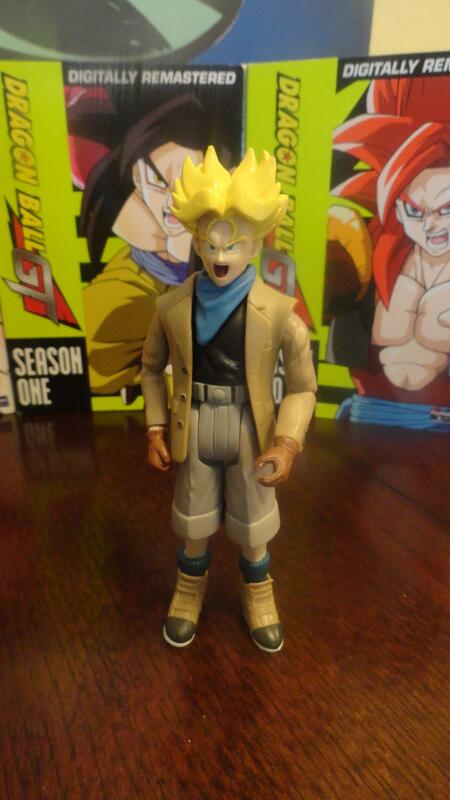 GT Trunks = This is just a head swap with a different Jakks Trunks figure and I love the change. The neck is a little skinny for this to honestly work but with the jacket and the scarf you can't really tell. This is more just to see if the parts fit since I will be making Trunks without the jacket and will probably have to sculpt a neck. If I do sculpt a neck, I will probably beef up his arms and chest as well. 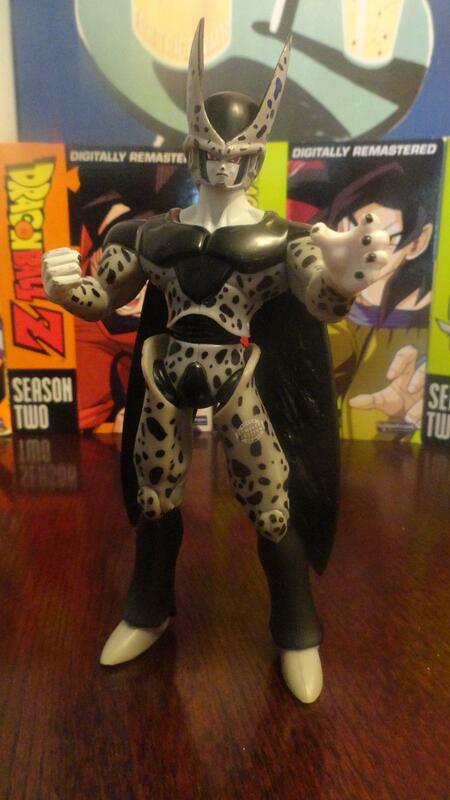 Special Paints Cell restoration = I got this figure along with Broly and several others. Cell was missing a wing and a hand, I will leave that up to you guys to figure out which are original and which were replacements for now. 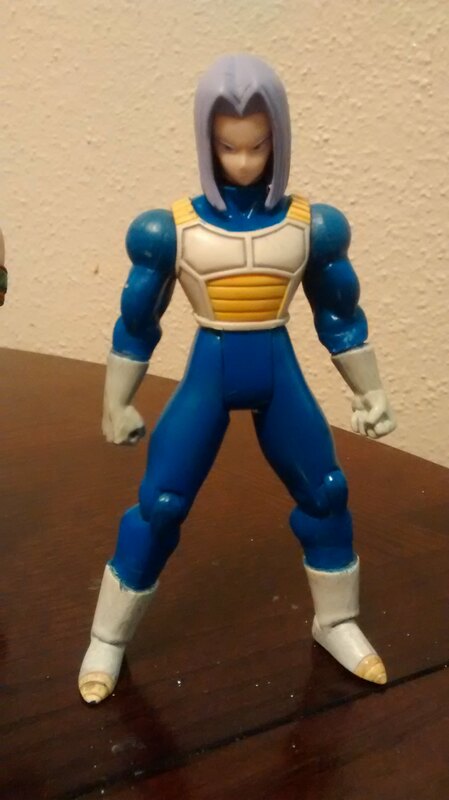 Crazy thing is the hand came from a TOYBIZ 5" figure not a DBZ figure. 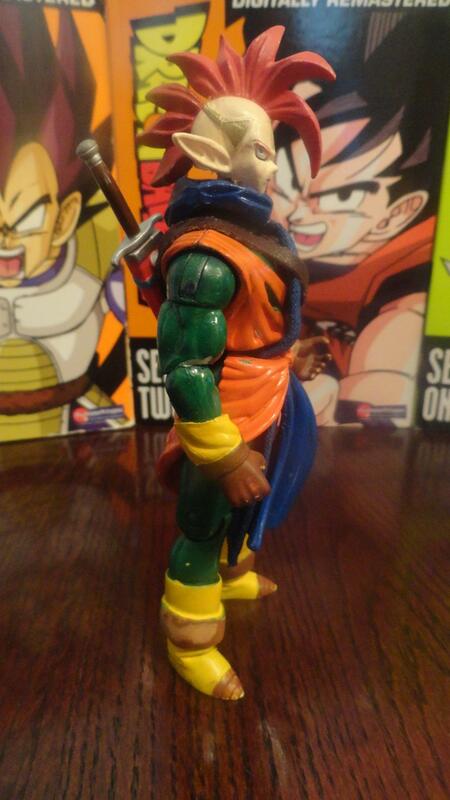 I thought some of you might be interested in seeing my non DBZ custom figures so I posted my facebook albums for Ninja Turtles as well as my BATMAN custom figures. My BATMAN custom figure collection. Mostly movie inspired. One day when I have enough DBZ customs to warrant a folder I will make one as well. 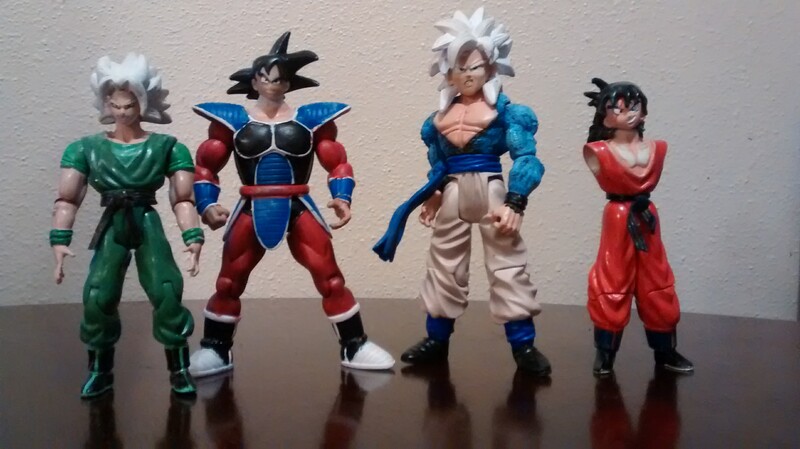 SS4 Turles and SS5 Gogeta are just getting started, I'm not crazy about the look of the boots on Turles but am worried if I try to cut and sculpt them he may become to top heavy and fall over. Yamcha and Xicor have been in progress for years and I finally have a neat idea for Yamcha's ankles and he may be finished up pretty soon. 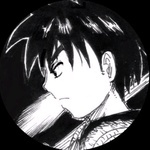 Yamcha most recently has had some sculpting done to his neck to be at the right height as well as have his ear line up correctly with the inside of his neck..... confused? I'd love any feedback and even criticism since I still have a little while before these are finished and have time to make some changes such as possible part swapping or sculpting. That Yamcha has some potential. Sculpted Tien's pant legs or boot tops not sure which. This is a custom that I sold to my sister a while ago and recently got back and will touch and up sand around the boots and gloves to look better. 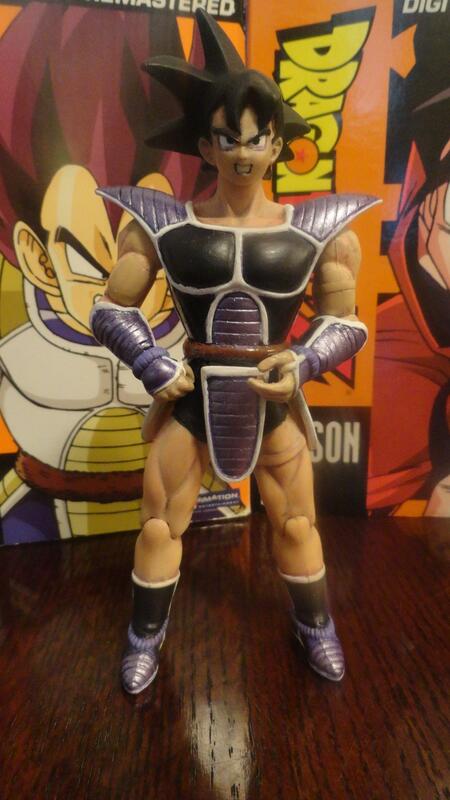 This is a Jakks GT Vegeta with shortened legs and SBC GT Vegeta head sculpt..... I love this figure now. I accidentally removed some paint on his boots so he needs a touch up. Pretty interesting customs. The pics are pretty big, so it was a bit much to look at on my computer, until I remembered if I resized my browser window to not be full-screen the images on this site will decrease in size too lol. I like the DBGT SS Trunks the best. That was a cool idea I hadn't thought of. I never did the Tien idea either. I think I even got the parts to do it too. Or... I decided to make it into Sharpner instead and I never made him. (Sharpner is the blonde school-mate of High School Gohan). I forgot about how big the pics came out in portrait setting since it's been a while. Have you posted Sharpner yet ? I'd love to see it. No, I never actually started him.